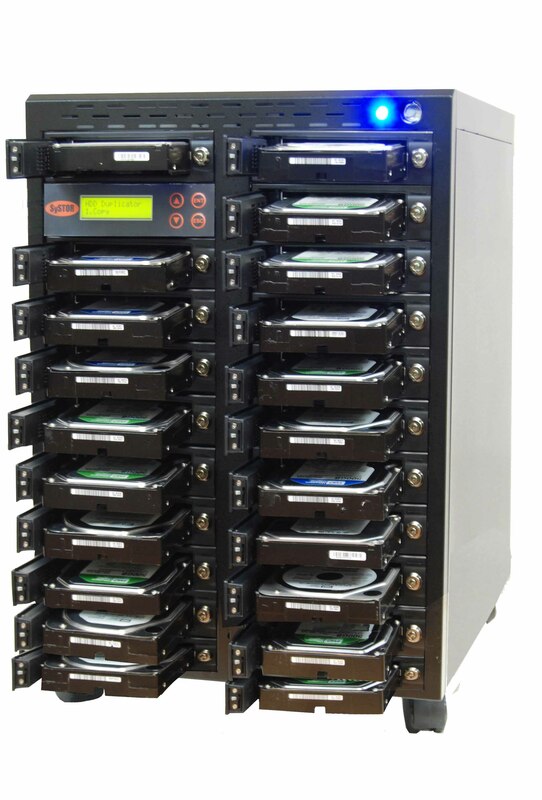 Systor's Hard Disk Drive (HDD) Duplicators are the best in it's class. 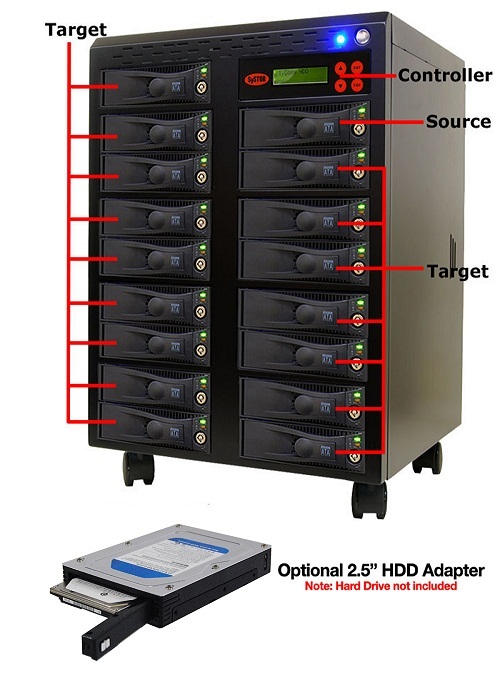 A complete standalone unit that can clone a hard drive to multiple hard disks in a single touch of a button. It copies the data sector by sector from the source drive to the target drives simultaneously, regardless of brand, operating system or format of the drives. The copy includes partition and boot sector information for a perfect clone. Permanently wipes sensitive data to counter data remnants. Copy speed is up to 150MB/sec. Optional Hot swappable adapter for 2.5" hard drive, not included. Safeguard key lock function keeps data secure within the enclosure.